FaxFX has revolutionised faxing by bringing it into the digital age. 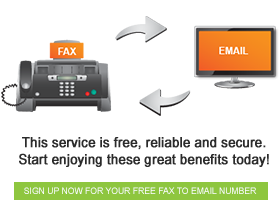 With fax to email you are able to send and receive faxes using your email account, and your inbound faxes are received completely free of charge. What’s more, using your email account for your fax communication means that you are able to view your faxes from anywhere in the world, provided you have an internet connection. Another huge benefit of electronic faxing is archiving. While faxing used to demand rooms of over-filled filing cabinets, now all storage is handled in the digital realm. FaxFX stores all of your fax correspondence on its secure servers, giving you easy access to your past faxes. • Click either ‘Sent’ or ‘Received’, depending on which option relates to the fax for which you are searching. • In the ‘Caller ID’ field, enter the number to which the fax was sent, or the number from which it was received. • Define the time period in which you would like to search by entering the starting date in the ‘From Date’ field. • Enter the ending date of the time period in the ‘To Date’ field. • If you are satisfied with the information that you entered, click ‘Search’. It is as simple as that. The FaxFX software will pull up all matching faxes within your search parameters, and you can pick the applicable fax. Far easier than rooting through filing cabinets, wouldn’t you agree?